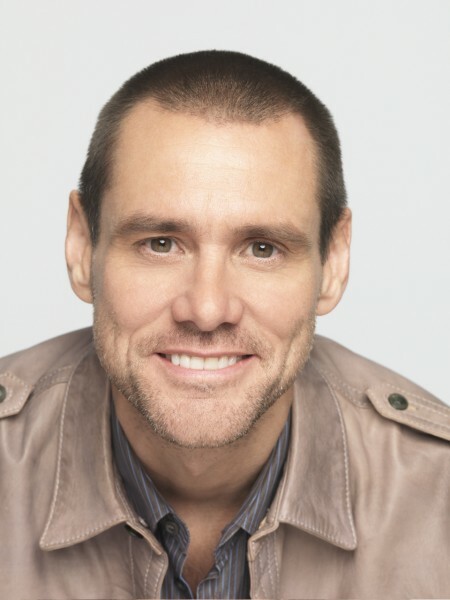 Learning from Jim Carrey or the NYC Murder Rate | The Better Plan . .
Hmm . . . what to write about. While reading a weekly journal called appropriately, The Week, I ran across two items that caught my attention. I’ll briefly share both of them and you can let me know which direction to head. Really true, isn’t it? We often do look at the rich and famous and compare our lives to our perceptions of their lives. Each time we see a magazine cover with their gorgeous faces and perfect (photoshopped) bodies and see pictures of them on vacation in exotic places that normal people never go to, we are reminded of how far from their lives we really are. In the process, it’s easy to forget about the often screwed-up lives of the people in those pictures and their desperation for normalcy. And in the process we lose sight of the things for which we can be thankful. We forget to nurture a spirit of gratitude. Jealousy and covetousness erode us from the inside out. The thinking we embrace and coddle affects our actions, our feelings, and even our physiology. Stinkin thinkin leads to all kinds of problems. Take a cue from Jim Carrey and quickly review your blessings. If the list is short you may need to intentionally seek the reasons for which to be thankful, but any effort put into improving your thinking will make a huge difference in your relationships and your happiness. The low number of murders is good, but what I really noticed had to do with how only 29 of them were committed by strangers. When I saw that I immediately thought of Glasser’s belief that all long-lasting psychological problems are relationship problems. It is telling that over 90% of the murders in NYC were committed by people who knew their victims. Taking the life of a friend or loved one is an extreme act that in a strange way conveys the importance of relationships. We value relationships and get worked up when a relationship doesn’t go the way we want it to go. 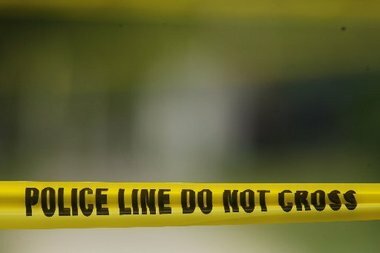 Murdering another person is never the answer, yet 305 people in NYC last year didn’t know about other options and went ahead and acted out in violence. This is where choice theory can help. The principles of choice theory gently, but firmly pull us out from the pit of victimhood and place us back in possession of ourselves. We come to understand the control we have on our thinking and our acting and the ways in which we create our own reality. We begin to value our relationships more and to recognize the role we play in whether or not our relationships are successful. Ultimately, without hurting or taking advantage of others, we become responsible for our own happiness. So, what to write about — Jim Carrey and gratitude or on what can be learned from the NYC murder rate? Hmm . . .
Tom Lee, Jean Buller, and Jim Roy at the Google Education Conference. Each of them are professors in the teacher education program at Pacific Union College. 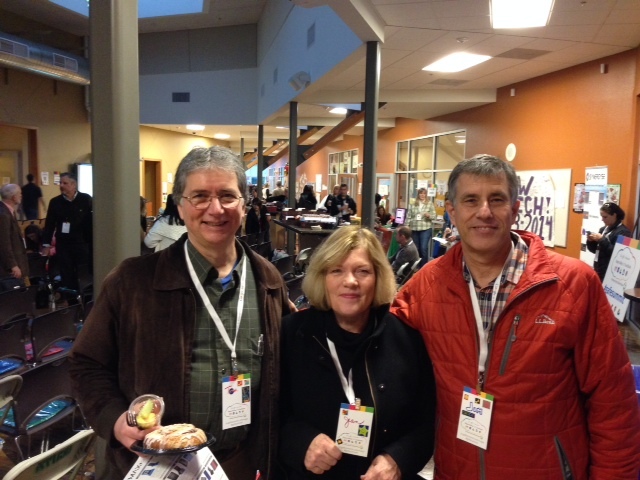 I attended a Google Apps for Educators Conference on Jan. 8 and 9 at New Tech High in Napa, CA. Wow! If you ever have a chance to attend a Google educator conference I highly encourage you to do so. (45 such conferences will be put on this coming year) The things you learn and ideas you hear are educationally transformative. For example, the Research tool in Google Docs places the world (websites, articles, pictures, and video clips) at students’ fingertips. And by students we aren’t just talking about college and secondary students. Elementary students can quickly learn to study a topic more deeply and then demonstrate their understanding in exciting ways. Their presentations become much more RELEVANT to them and their classmates. As you probably recall, relevance is one of the most important qualities in a choice theory classroom. Our next Choice Theory Study Group is January 25 at 2:00 pm. Let me know if you have agenda items or topics you would like to cover. I say why limit yourself to only one topic. Go with both at two different times. Don’t look now but I believe you just wrote about both. Jim Carey sounds like he is becoming wise with age. Like another Jim I know.